I don’t pretend to know a lot about Irish politics and I’m not exactly sure of the current legal status of abortion in Ireland, but the ensuing debate sounded much like any you might hear on American television, but with manners. The principals in the Irish Times event were Cora Sherlock of the Pro Life Campaign and Fine Gael representative Kate O’Connell. Sherlock pointed out that the welfare of the baby was being lost in all of the debate while O’Connell wanted to insist that the Irish disposition on the topic had changed since 1983. Clearly each of these women are public figures with clout, and it’s fair to say that both of them had a point. Sherlock is undoubtedly correct that the only truly innocent victim of an abortion, the child, gets short shrift. As for O’Connell’s argument that opinions about abortion are changing, I admit she’s right about that. Around the world traditional Catholic nations are weakening: Ireland, Italy, Poland, the U.S. Under the onslaught of secularists (whose standard is proudly waved by most of the media around the world) and the Enemy more and more citizens of these countries have compromised pro-life principles, to the point where the Protestant Christian so-called pro-life position is an anemic mockery. And the Church? 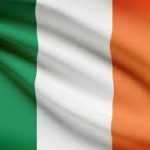 The Protestants in Ireland vigorously fought the 1983 amendment and will likely be joined this time around by a significant fraction of Ireland’s remaining Catholics as the repeal effort gains steam. According to Sherlock the bizarre “Citizen’s Assembly” process is simply a ruse to ensure the Eighth is killed once and for all. The host of the Irish Times event correctly asks whether this democratization of the fact-finding process of an issue, along with it being ultimately settled by popular referendum lets political leaders off the hook of… well, leading. I think it does. One part of me thinks that faithful Catholics should simply admit we won’t win in the court of public opinion tipped by secularist-progressives who only need to yell “bigot!” to cow us into silence. Another part of me thinks it’s worth the fight to keep our laws and regulation reflective of our morals and ethics. The problem is, perhaps the repeal of the Eighth is doing just that.